The Frederick Coin Exchange is one of the area’s most trusted dealers in U.S. coins, gold & silver bullion & other collectibles. We combine our staff’s knowledge and expertise with our resources and connections allowing us to buy a wide range of collectibles in large volumes.The Frederick Coin Exchange is a member of all major coin and precious metals organizations. 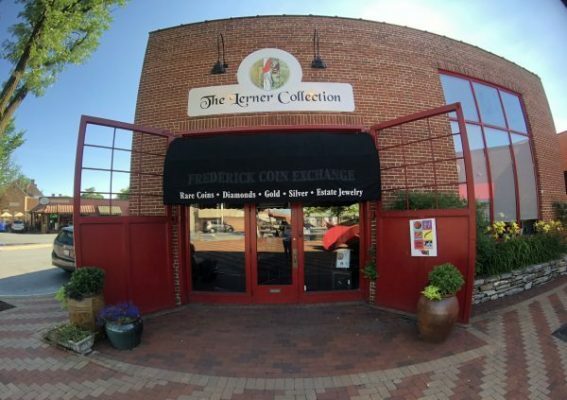 Stop by to view our selection of coins, gold, silver, and collectibles in our downtown Frederick store. We offer FREE verbal estimates and competitive buy prices. 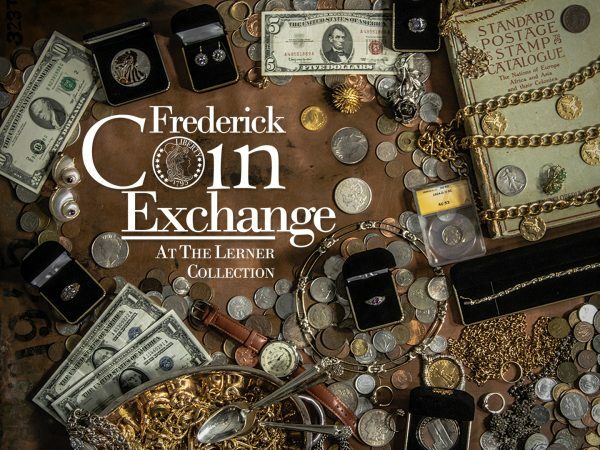 The Frederick Coin Exchange, located in Frederick, MD, is one the area’s most trusted dealers in U.S. coins, gold & silver bullion, estate jewelry, sterling silver hollow ware and flatware, baseball cards, and more. We are proud to be members of all major coin and precious metals organizations. Our staff’s knowledge and expertise combined with their resources and connections allows them to buy a wide variety of collectibles at large volumes. The Frederick Coin Exchange, located in Frederick, MD, has some of the lowest premiums on gold and silver bullion in the industry. When we buy or sell gold bullion, in any form, we test each piece using the ‘Fisch’ Gold Testing Spoons and the Sigma Ultrasound. We are proud to be one of the most trusted precious metals traders in the area. Premiums change on a daily basis, so please call to speak to our gold and silver bullion experts for the most current buy/sell quote! To ‘Lock In’ a price, call today! At the Frederick Coin Exchange, we are proud of our reputation for offering an extensive inventory, strong buy prices, and competitive sell prices. We have an honest and knowledgeable staff, a high percentage of repeat and referral business, and we offer FREE VERBAL APPRAISALS. We are members of all major coin and precious metals organizations, allowing us to buy anything at competitive rates. Knowledge is power in our business. Being connected to organizations and businesses around the country allow us to pay you more. We are members of the Certified Coin Exchange, a network of the nations top 300 coin dealers. This allows us to buy anything at competitive rates regardless of value or quantity. Always a great experience, very professional and friendly. Love the new location, bright open space and plenty of parking!! Wouldn't take my business anywhere else! Great Operation, Matt and his crew are ready to deal and very professional. I purchaced a 2016 1 Oz. Silver Eagle and I must say I'm very impressed by the staff and the store. Great business and great prices. I hope to return very soon. Great place, very fair...staff is both knowledgible and helpful.